What Do You Know about Flowers? Can you imagine a woman who doesn’t like flowers? No? Of course, every woman loves flowers. Ability to choose and present flowers as a gift could allow men to avoid some embarrassing situations. Ignorance of the basic rules of flower etiquette may even offend a lady. Always remember that a bouquet will show your level of culture, taste and attitude to woman, it should certainly match her age and appearance. Comments Off on What Do You Know about Flowers? The new season brings inevitable change in a fashionable wardrobe. What is fashion for women in 2016? What surprises designers prepared for us? Why Russian women look so hot? Men all over the world are interested in this question. And perhaps not for nothing. Actually is it possible that single men of different nationalities and different preferences are dreaming about hot Slavic brides, considering them the most magnificent and admirable women? Without a doubt! Comments Off on Why Russian women look so hot? Yes, it’s true that there are some types of women that men don’t like. And let’s learn what they are! Summer is too close and it is time for changing. The easiest way to be attractive for women is to follow the fashion. Comments Off on Do You Have Your Own Style? Is money the sense of your life? 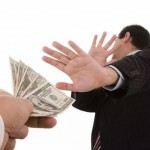 Many people believe that money is the foundation of the world and the existence. But it is not so, because sometimes even if you have a lot of money, you can be still unhappy and alone. Money can be just a possibility to see more in the world and to feel the taste of the life. There are many great moments which you can have without money, for example love and support of your family of beloved one. It this article, you can find the list of some things which you can not buy. Comments Off on Is money the sense of your life? 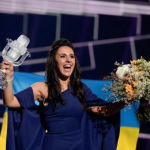 At the end of the musical contest “Eurovision-2016”, which was held in Stockholm, the winner became the singer Jamala, representing Ukraine. She sang the song “1944”, she received the result of 534 votes. On the second place is the Australian singer Demi Im with the song «Sound of Silence”, received 511 votes. This question can look banal but there is really something to talk about. Comments Off on What Is Health?